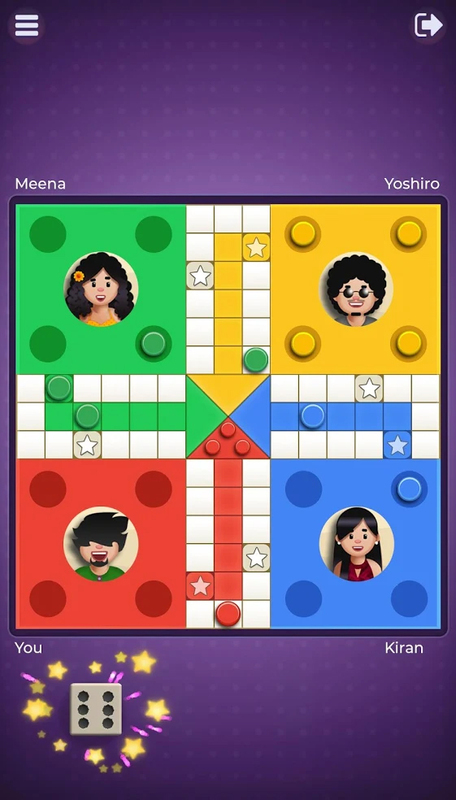 Ludo mobile game for Android. I was involved in the project as a freelance technical artist. 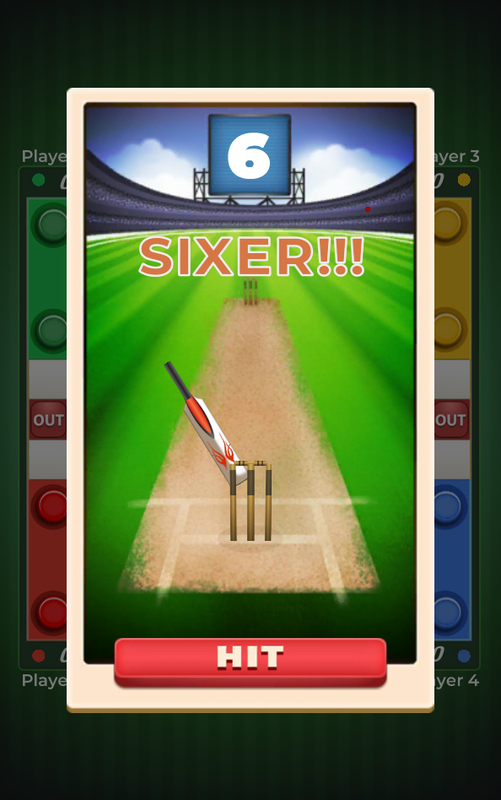 Game was developed in Unity using C#. Visual development tasks for defining the look and feel of the game art and VFX. 3D modelling, texturing, animation, and rendering of assets for real-time in-engine implementation, as well as pre-rendered sprites and VFX. Had full ownership of the whole game art pipeline, tech art, animation, and VFX set up. Planned, produced and implemented most of the game VFX. Shader programming and optimization for all visual elements and VFX. Planning and development of Unity editor tools for faster testing and implementation of art and tech. Full ownership of all the gameplay frontend systems and engineering. Implemented in its entirety the gameplay frontend and its interaction with the gameplay backend. Documented and maintained all technical documents related to the frontend API and all the art, animation and VFX tech set up. Coordinated with the gameplay engineering team to plan, implement, test, and debug all gameplay features. Small personal game project. 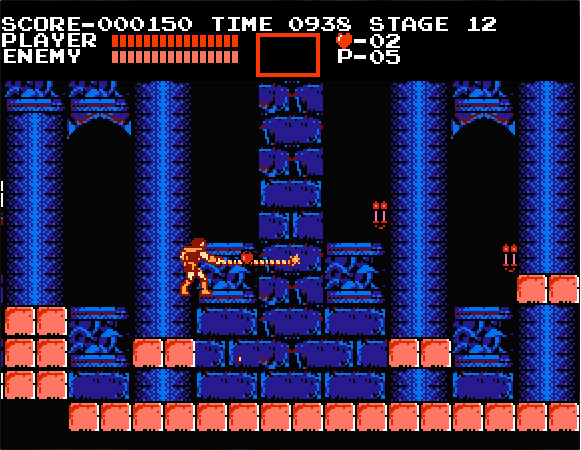 The goal of the project was to recreate the gameplay controls and interaction of the first Castlevania game using Python. The arrows move the character and are used to crouch. The Z key for attacking. 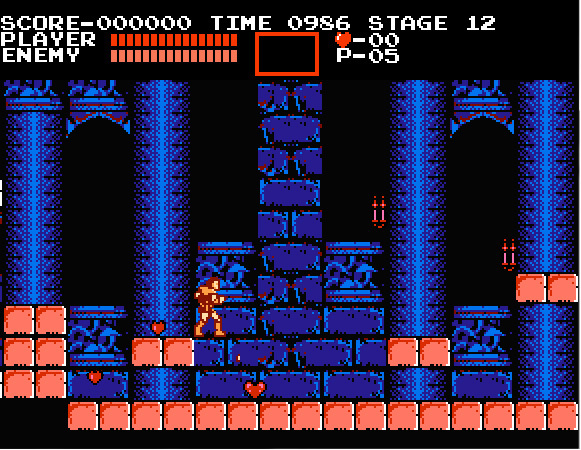 It features functional UI, destructible objects with randomized item drops, score, time and heart counters. No new art was created for this project, all the art included in the game is from the original game. It only uses the PyGame library for image loading and display management. Everything is programmed from scratch, including the collision system. Personal project entirely done by me. 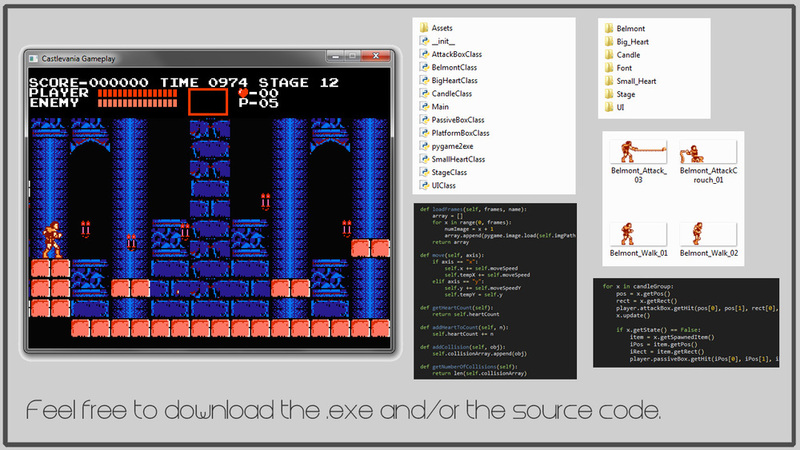 EXE and source code (GitHub) available for download. Compiled using Py2Exe.